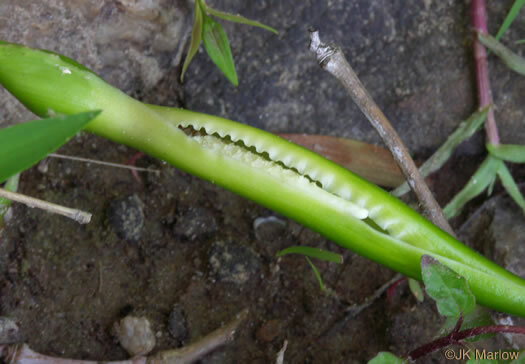 Your search found 14 image(s) illustrating the term "spadix." 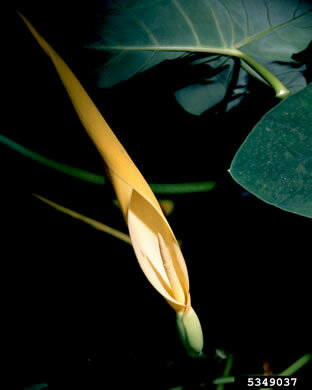 For a written explanation, click on "spadix" in the Glossary. Inflorescence a cylindric tapering spadix; leaf-like spathe continues up, per Wildflowers of Tennessee, the Ohio Valley, and the Southern Appalachians. 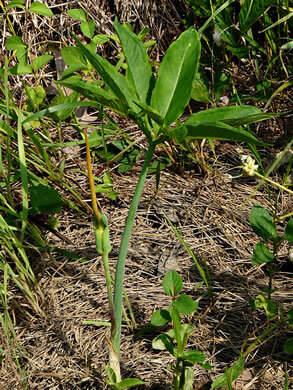 An erect, conspicuous, golden-yellow clublike spadix (fleshy flower stalk), per Atlantic Coastal Plain Wildflowers. 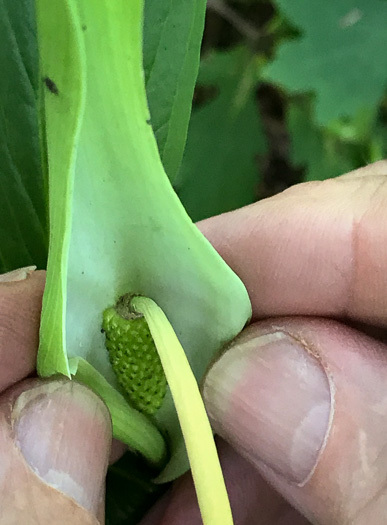 The spathe encloses a ball-like spadix with numerous tiny flowers, per Wildflowers & Plant Communities of the Southern Appalachian Mountains and Piedmont. 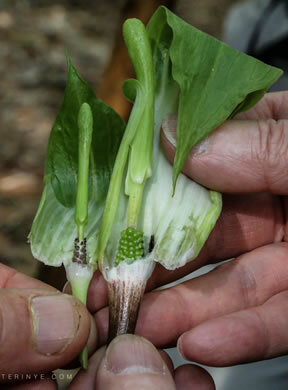 Slender club-shaped spadix enclosed in a narrow pointed green spathe, per Wildflowers of Tennessee, the Ohio Valley, and the Southern Appalachians. 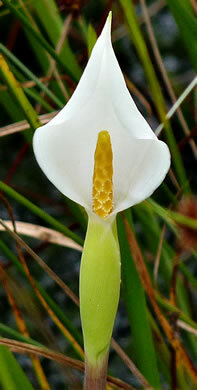 Inflorescence a spadix subtended by a flared, open, white spathe, per Guide to the Wildflowers of SC. 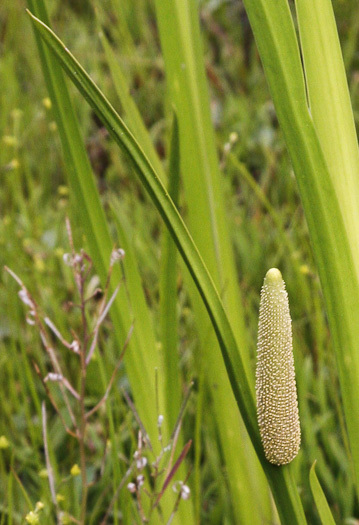 Flowers in a fleshy spike (spadix) protruding from a nearly closed spathe, per Atlantic Coastal Plain Wildflowers. 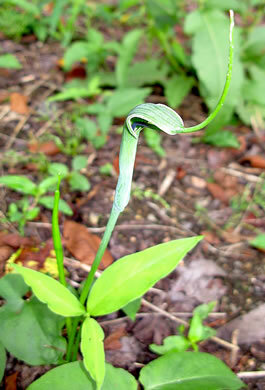 Flowers at the base of a spadix with a long, sterile tip ("dragon's tail"), per Wildflowers of Tennessee, the Ohio Valley, and the Southern Appalachians. 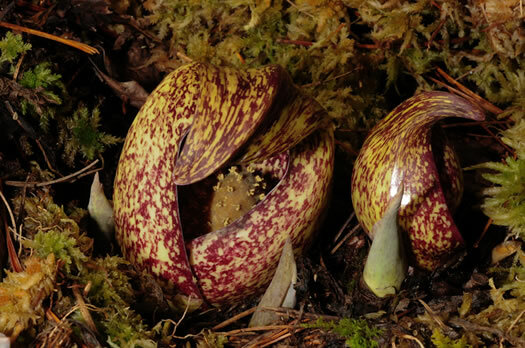 Spathe hides the tiny flowers at spadix base (male on left, female on right). 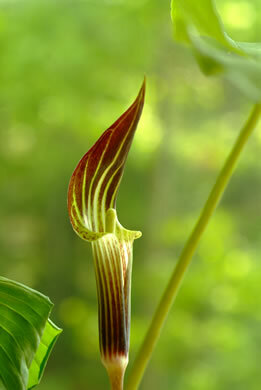 A solid green or purple-striped spathe (pulpit) surrounds the spadix (jack), per Wildflowers of Tennessee. 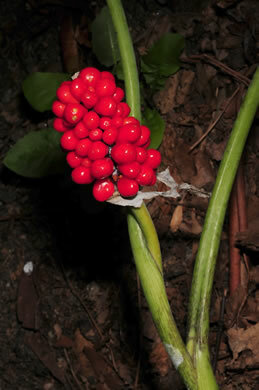 The bright red berries are found clustered at base of the spadix in autumn, per Wildflowers of Tennessee, the Ohio Valley, and the Southern Appalachians. Spadix fused to the spathe (vs. spadix free from the spathe in Arisaema), per Weakley's Flora. 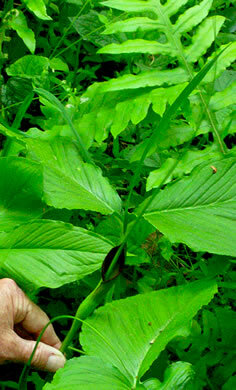 Spadix has a 7-10" whip-like extension which emerges upward from the spathe, per www.missouribotanicalgarden.org. 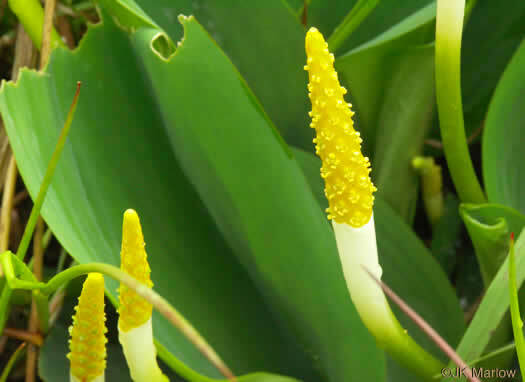 Tiny flowers on a fleshy stalk (spadix) covered by a yellow hood (spathe), per Invasive Plants, Guide to Identification, Impacts and Control. Your search found 14 image(s) illustrating the term "spadix."